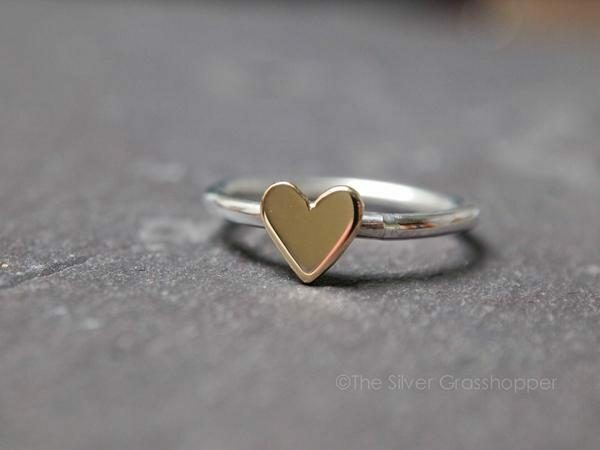 The gorgeous little gold heart and silver ring has been hand cut with a little hacksaw before being soldered together and polished to create this beautiful ring. This means that each ring is unique and lovingly handmade, packaged and shipped by Fiona herself. 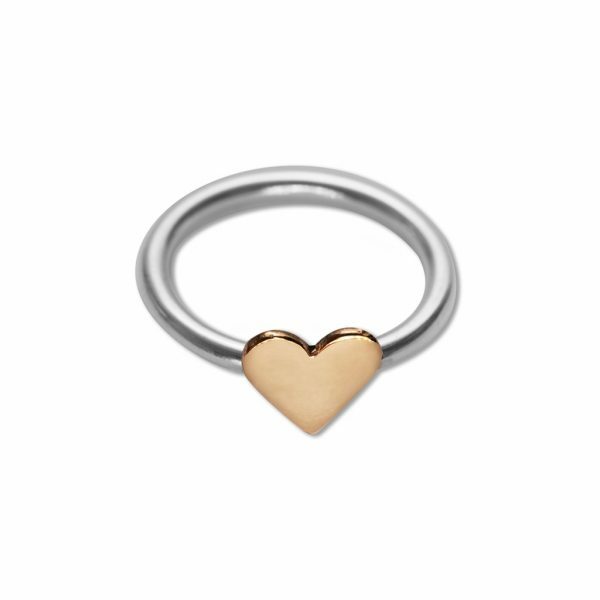 Stylish and easy to wear for any occasion, the perfect gift for you or a loved one. The lovely wee gold heart is roughly 7mm by 7mm and 1.80mm wire ring.